Women's tan leather bag from Aspinal of London. Hand-crafted from the finest Italian calf leather, the small 'Ella' hobo bag has a softly structured design and is accentuated with plush suede side panels. 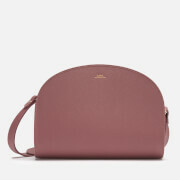 Lightweight and timeless, the versatile bag offers a suede-lined internal with two magnetic flap compartments and a central zipped section for safe storage. 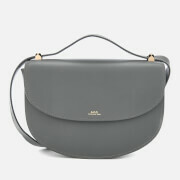 Equipped with an adjustable and removable crossbody strap in black and tan. Finished with signature foil branding and protective brass feet to the base. Arrives in a branded box with dust bag. Dimensions: H: 23cm x W: 28cm x D: 11cm. Strap Drop: 49cm.